14MHz 1/4 portable ground plane antenna. September 2015. The portable 20m ground plan antenna is a basic wire arrangement with a wire radiator and three radials spaced 120 degrees apart. The radiator and radials are fed at 50ohms via a 1:1 current balun. The radiator and radials all have attachment loops at the ends so that the antenna can be hung in a tree or from a Squid pole with the radials pegged out with ropes and tent pegs. As the name suggests the 1/4 wave ground plane has elements that are a 1/4 of a wave length of the operating frequency in length, this however is the electrical length not the physical length. The physical length is reduced due to the effects of the diameter of the elements; the reduction is referred to as the ‘K’ factor which is typically a figure of about 0.92 to 0.98, this figure is then multiplied by the electrical wave length to give the resultant physical length. The below calculation determines the physical length of the radiating element ‘A’ and the three radial elements ‘B’. The 'B' elements are as discussed earlier to be about 10% longer, therefore the formula for the 'B' elements has a 1.1 multiplier. el = The length of the antenna element. A 1/4 wave element will be presented as 0.25 for example. K = K factor referred to in the below calculation and chart. The result value for the above calculations would be in metre, but has been presented in mm as more convenient value in the practical approach to this calculation the result in metres would be multiplied by 1000 to present millimetres. The elements are all electrical quarter wavelengths not physical lengths, with the physical length being slightly shorter. The basic wavelength calculation is multiplied by a factor of ‘K’. Typically K is a value between 0.92 and 098 and is mainly dependant on the ratio of the wavelength and the diameter of the wire or rod used. The K factor can be derived from the below Figure 2 Chart and the below simple formula. In this case the 0.5mm wire element at frequency of 14.15MHz results in a ration of 20000 or 20k which is referred up from the bottom of the 'K' factor chart to the curve and then referred across to the multiplying factor which in this case was determined as approximately 0.97. 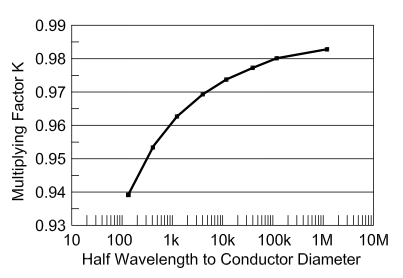 HWCD_Ratio = Half Wavelength to Conductor Diameter Ration. 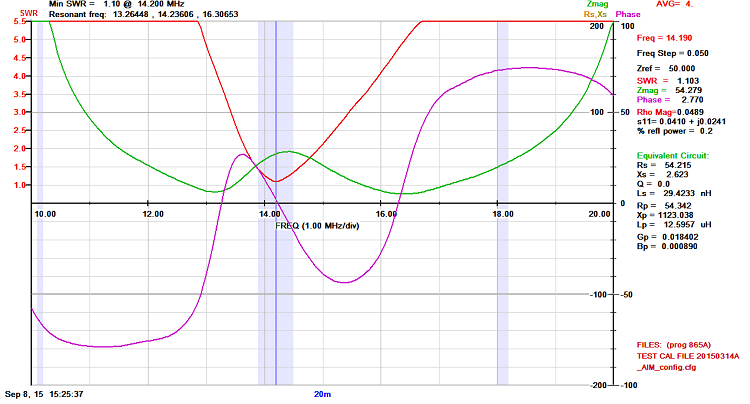 Half_Wavelength = The half wavelength of the 20m band being obviously about 10000mm (10m). A spreadsheet with element length formula has been presented in the below table indicating the ideal lengths for the radiating and radial elements for various amateur radio bands that this configuration would be practical. All spreadsheet calculations have assumed a 'K' factor of 0.97 which is likely to be different given the different wavelengths and wire diameter that may be employed for a practical antenna. In the real world it is alway wise to allow a bit extra length and prune to get the best results and as mentioned earlier the 'B' radials can be a bit longer with out having any detrimental effect on matching, leaving only the 'A' radiator to be experimentally trimmed. Figure 3 Table of 1/4λ Ground Plan element dimensions for various amateur radio bands. 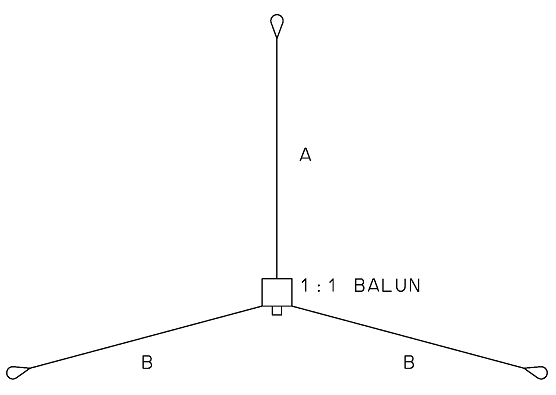 The 1:1 Guanella current balun is the convenient central hub of the wire ground plane antenna and while the balun was never designed with this antenna configuration in mind it works fairly well. Ideally the two binding post would be better suited with one at the top and the other at the bottom and SO239 coax connector to the side, however you work with what you have. The above dimension calculations are based on VHF and UHF ground plan antennas and while that will work and produce a 50ohm match it will only achieve that when the radials angled down at about 40 degrees and the antenna is high above the ground, when the radials not angled down and are more or less flat due to practicalities of attaching the antenna to a Squid pole for example and the antenna is only about 2m from the ground the impedance will be much lower than the ideal 50ohms. A simple solution is the prune the radiator until the best match is achieved and this is likely to be of the order of 4.6m, significantly shorter than the calculations would suggest. If the antenna was hung higher in a tree for example and the radials could be angled down at the more ideal 45degrees then the radiator would need to be closer to the 5.13m length. Photo 1 Shown is the 1:1 Guanella current balun, the central hub of the wire ground plane antenna. The radiator wire element is attached to the left post and the three radiators are attached to the right binding post. Photo 2 Squid pole assembled in the field Photo 3 Squid pole mounting arrangement. With the antenna assembled and erected clear of surrounding metallic objects, the antenna was connected to an AIM 4170C antenna analyser to ascertain how the antenna loaded up. The goal here is match the antenna at about the centre of the 20m band (14.0 - 14.35MHz) and being close to the resonant frequency and achieving best possible impedance match resulting in an SWR of about 1.5 - 1 or less. The AIM 4170C produces a display of all relevant data and most importantly it can project it's analysis to the antenna end of the coax giving a truer picture of the antenna. Finally with the most modest trimming of the radiating element the required parameters were realised with a resonant frequency of 14.236MHz and a SWR of 1.103 at 14.19 MHz. Figure 4 AIM 4170C antenna analyser of the antenna mounted to a Squid pole and the feed point being approximately 2m above the ground. Figure 4 indicates that the antenna's SWR is blow 1.5:1 over the entire 20m band (14.0 - 14.35MHz). This measurement was taken with the antenna attached to a 7m Squid pole and therefore the antenna was only about 1m above the actual ground. It would be expected that the results would differ when install at greater height, however an expectable SWR would be maintained. 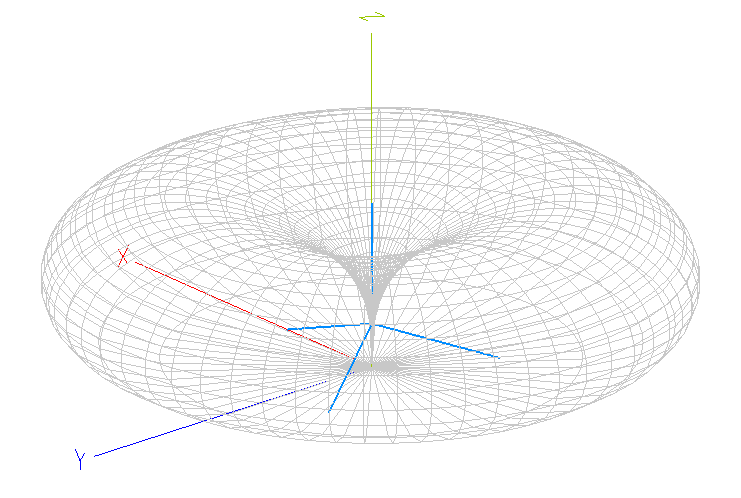 Figure 5 MMANA antenna model indicating uniform low angle radiation pattern. ARRL Antenna Book 18th Addition .